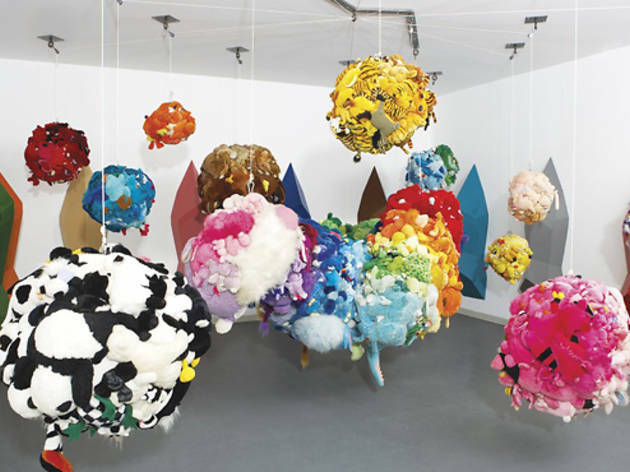 "Mike Kelley: Deodorized Central Mass with Satellites"
Early in his career, Mike Kelley created large installations consisting of found thrift store stuffed animals and household cleaning products. The effect evoked mixed feelings of empathy and repulsion in viewers. This installation—the second exhibit at this new space from NY gallerist Perry Rubenstein—has never been shown before in LA and consists of a 13-part hanging plush sculpture surrounded by slick, geometric wall reliefs that fill the room with a subtle chemical-pine scent. 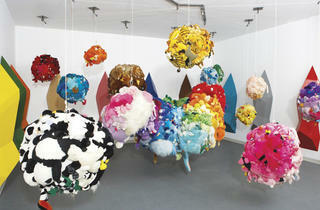 Love it or hate it, it's vintage Mike Kelley.